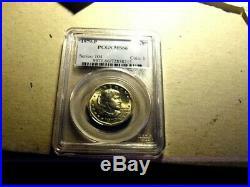 This listing is for a COMPLETE set of Susan B. Anthony Dollars Slabbed 1979-81,1999 - 18 Coins Total. 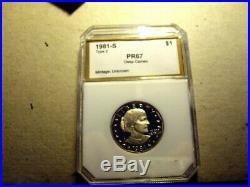 There are 16 coins in PCGS Slabs, 1 coin in NGC Slab and 1 PCI Slab. This set includes the 2 1979 P's (one narrow rim and one wide rim), 3 1979 S's (1 - MS66, the other 2 Type 1 PR69 and Type 2 PR69). 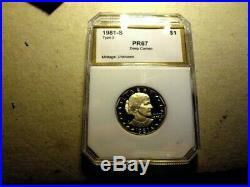 There are 3 1981-S coins (one is MS65 , one is Type 1 PR69 and one is Type 2 PR67 and this one is certified by PCI). 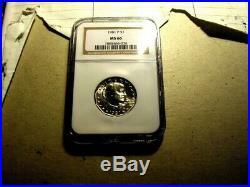 You also have your 3 1999's P & D and a 1999-P Proof PR69. The set is housed in an NGC Slab Box of which one of the top corners is broken off. This is a nice set of coins which took me a while to accumulate. Please check out my other auctions. 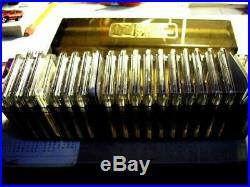 Anthony Dollar/Complete Set Slabbed 1979-81, 1999 18 Coins" is in sale since Wednesday, February 13, 2019. 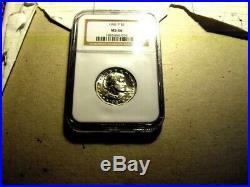 This item is in the category "Coins & Paper Money\Coins\ US\Dollars\Susan B Anthony (1979-81,99)". The seller is "570donb" and is located in Milford, Pennsylvania. This item can be shipped to United States.